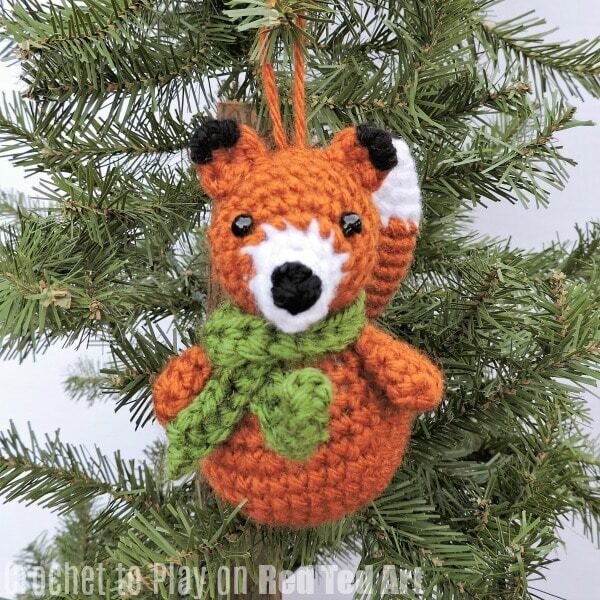 Time for another adorable Christmas Ornament Crochet – this time we have a fabulous free crochet pattern that spans the seasons: an adorable Free Crochet Fox Ornament Pattern. 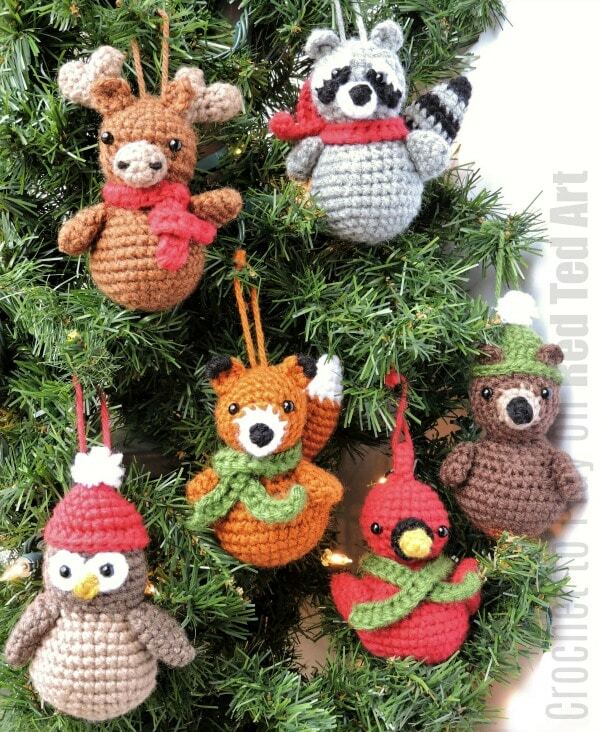 Part of a set of Woodland Animal Ornamentsbut that would also compliment this amazingly adorable Christmas Ornaments Crochet set! 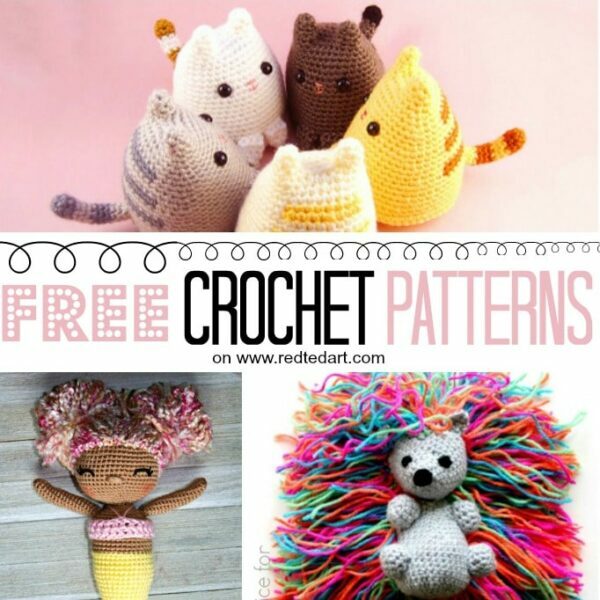 This lovely free fox pattern is shared with by the gorgeous Crochet to Play! 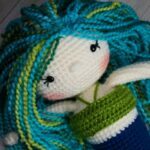 Who has a fantastic Etsy Shop for you to check out! 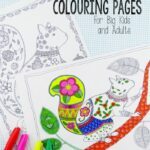 Note: this post contains affiliate links for your convenience! invdec – invisible decrease (an alternative to the sc2tog stitch). To invdec, insert your hook through the front loop of the indicated st, then insert your hook into the front loop of the next st. 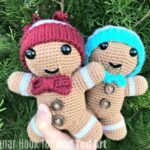 Your hook is now inserted into the front loops of both stitches you’d like to decrease into one stitch. 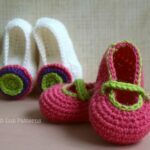 Yarn over and draw up loop through both sts, then yarn over and pull through two loops on hook. 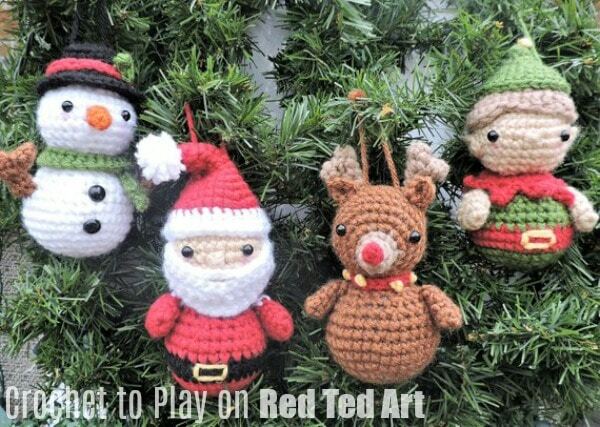 Ornament is about 4” high and 2 1/2” in width, although size varies based on yarn used and each individual crocheter’s tension. Using rust, form a magic ring. Into the ring, 3 sc, ch 1, then 3 more sc (pulling ring closed as you work). The extra chain should add a little point to the top of the ear. Ss in first sc and fasten off, leaving a long tail to attach to the head later. 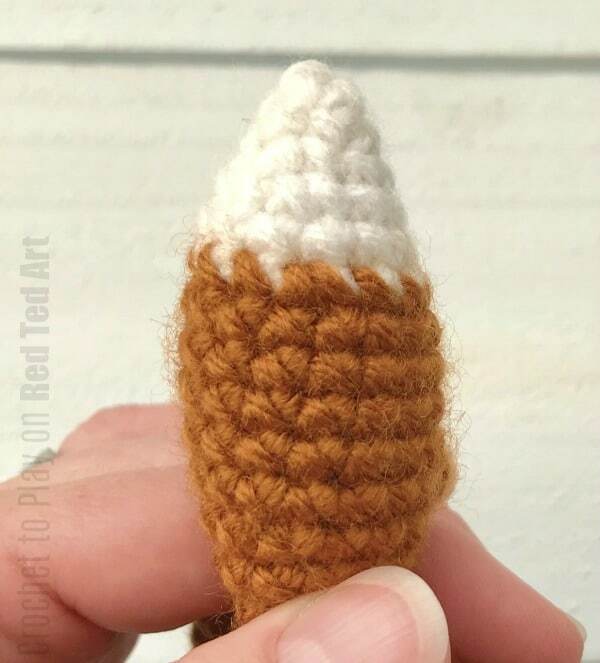 To make the tips of the ears black, using black yarn and a yarn needle, loop around the top three stitches as many times as needed to cover. R1: Using white, 5 sc in a magic ring. R4: Sc2tog, sc in next 2 sts, 2 sc in each of next 3 sts, sc in last 2 sts (11), switch to rust. 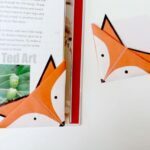 Holding the fox’s face with the “snout” pointing up, place safety eyes between rows 5 and 6, about 6-7 sts apart. 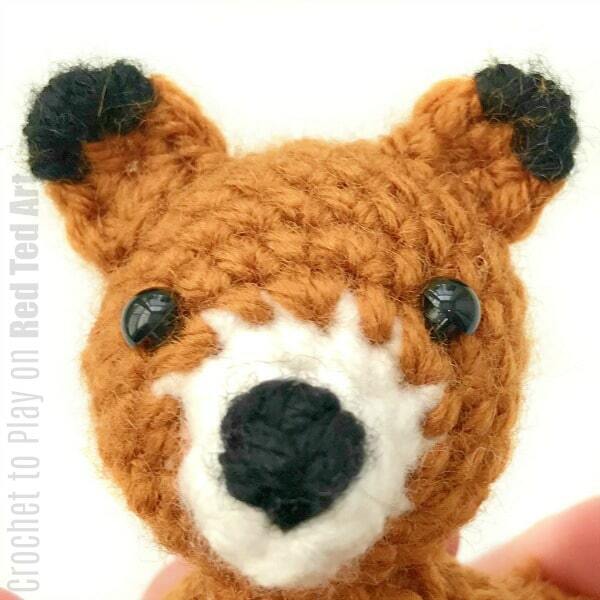 Embroider a triangle-shaped nose using black yarn. 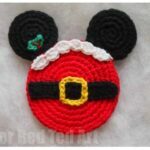 Then attach the ears between rows 8 and 9, 3 to 4 sts apart. Stuff the head and move on to round 13. R13: Sc2tog around until closed. 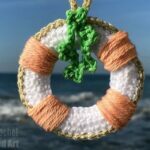 Fasten off and use yarn tail to completely close circle. Weave in ends. Fasten off, leaving tail long enough to sew head and body together. Stuff body, then match up with head and attach. R1: Using rust, sc 6 into a magic ring. Fasten off, leaving long tail to attach to the body. Flatten shape and sew shut, then attach paws to body. R1: Using white, sc 4 in a magic ring. Fasten off, leaving long tail. Sew open end shut and attach to the back of the body. Using green, chain 40. Hdc in third chain from hook and in remaining chains. Weave in ends and wrap around fox’s neck. 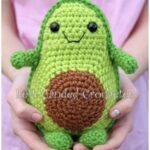 Secure with a couple of stitches of green yarn. 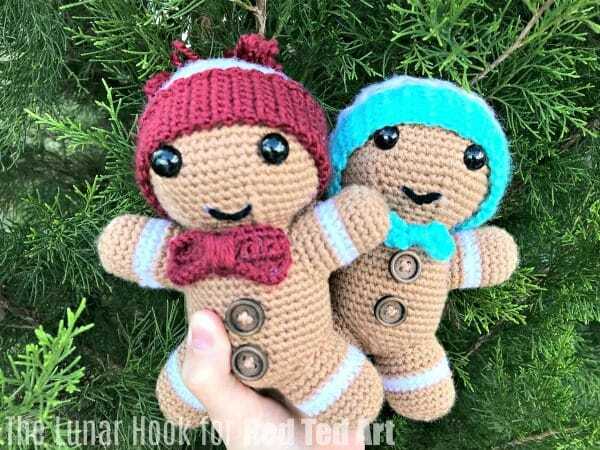 Isn’t the cutest? 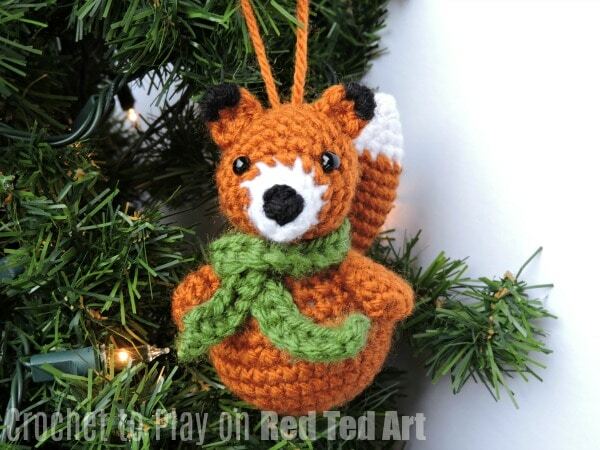 If you loved this pattern.. you simply HAVE to check out the other Woodland Animal Ornaments as well as this cutest of cute Christmas Ornaments Crochet set! Enjoy!